The built-in Cassette Toilet consists of two parts: a permanently installed toilet and a removable waste-holding tank. A clever indicator lets you know when the tank needs to be emptied, and you can access and remove the tank through a small door (Service Door 3 - 850-01600 or 850-01601) on the outside of the vehicle. Choose from various models. All Thetford Cassette Toilets come with a 3 year warranty. 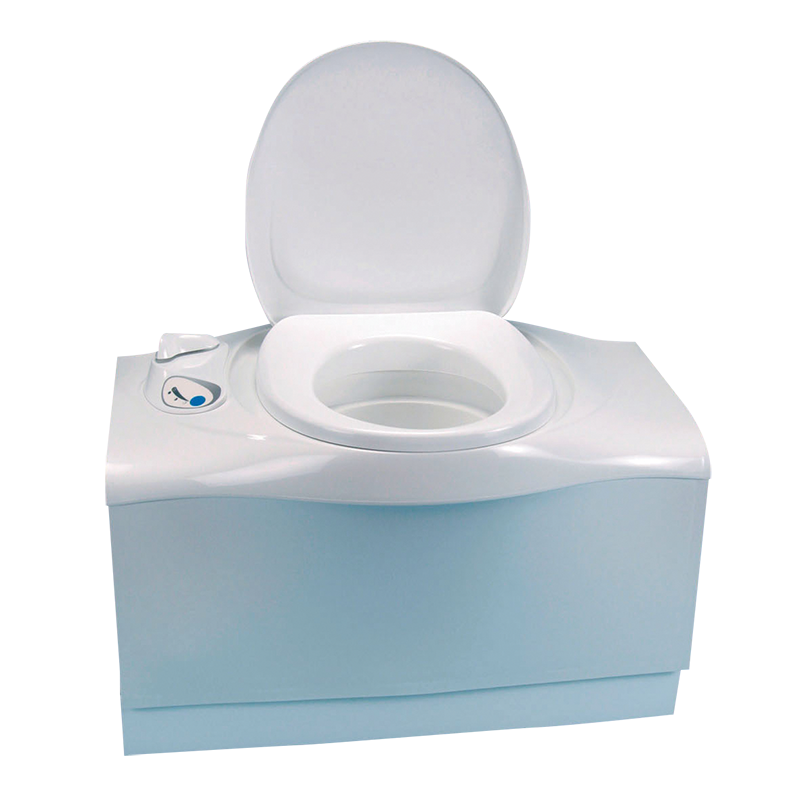 A bench model toilet with integrated water and electric flush. The C402 comes with a bigger 19.3Lt waste-holding tank with wheels, to allow for easy emptying.